Melt butter on stove in a large pot on low. 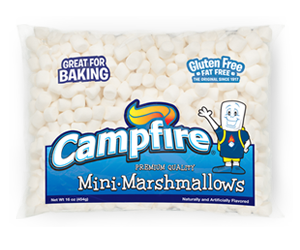 Once melted, add the marshmallows and stir continuously until completely melted. Add food coloring gently blend in color. Add cornflakes and stir until well coated. Using parchment paper, drop spoonfuls of the cornflake mixture onto the parchment paper. Let cool for one minute. With clean hands, use your fingers to shape each spoonful into an individual wreath. 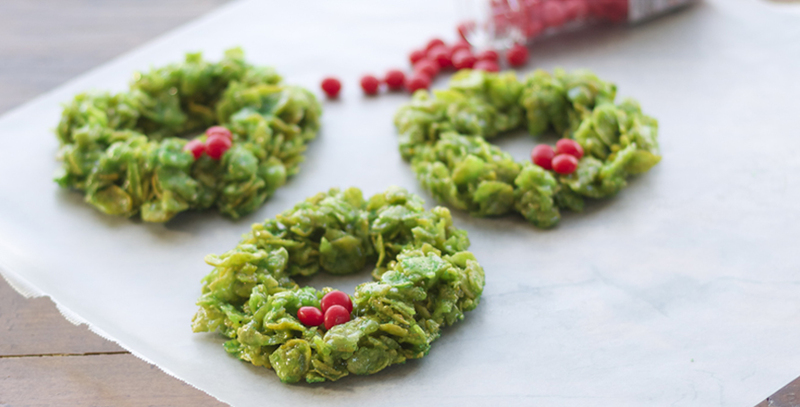 Place 3 cinnamon candies in a cluster onto the wreath. Let cool and enjoy this old fashioned treat!